A great addition to any wedding is some bunting or garlands hanging on the walls or across the ceilings; it’s even good for outdoor venues. Giving an extra dimension to your décor it’s a fab wedding DIY. 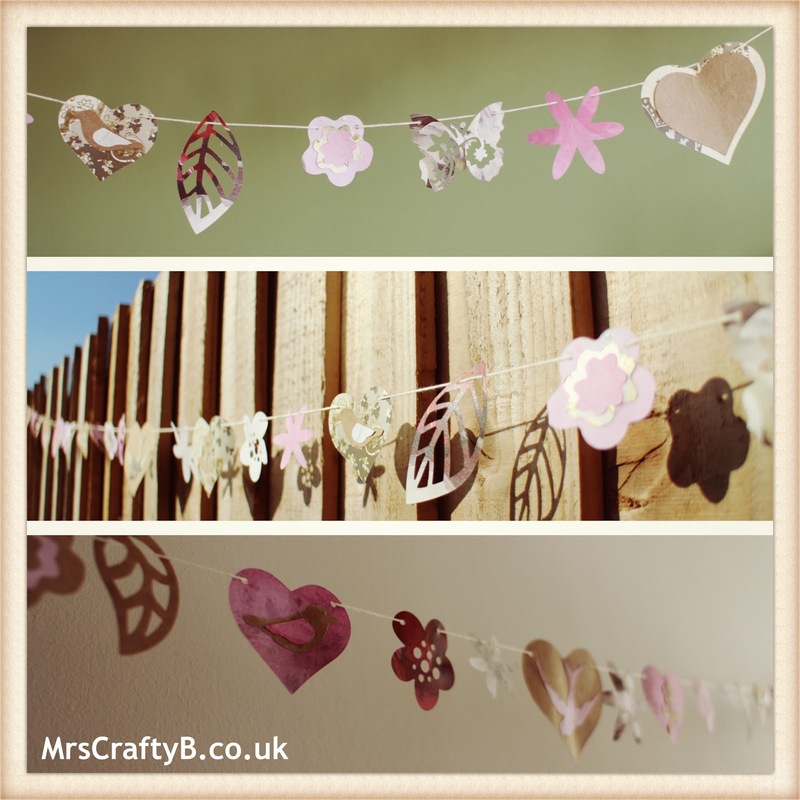 Traditional fabric bunting looks lovely but if you are looking for something easy and inexpensive to make that you can personalise to your theme then some paper bunting or a garland is the way forward. 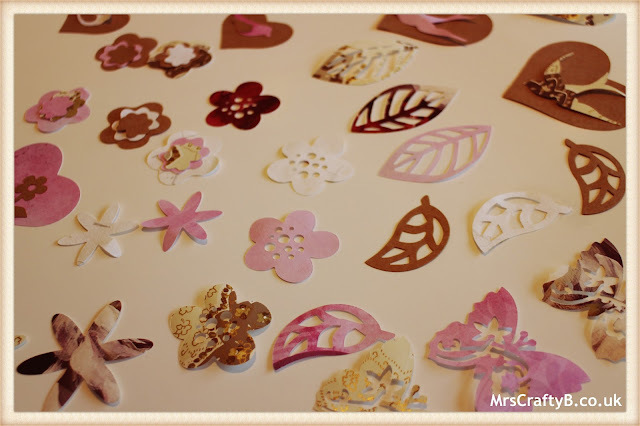 Here’s how to make your own paper bunting or paper garland in a few easy steps. Firstly plan to get your wedding helpers together and feed them pizza and wine; the first step in any great wedding DIY. Maybe hold off on the wine until after the bunting is finished! 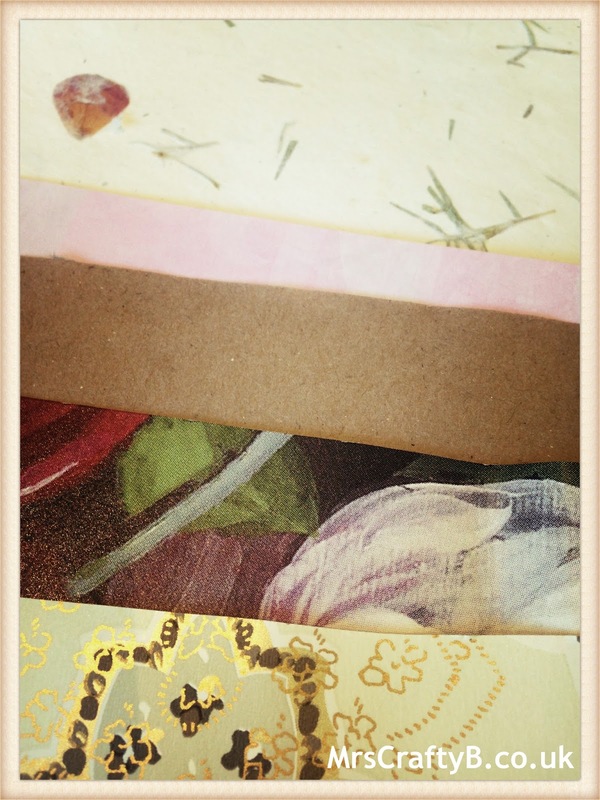 Gather a collection of sturdy papers that match your colour scheme. There are various ways to create shapes for your bunting or garland. If you have access to a die cutter, you can use your favourite dies to cut lots of shapes. 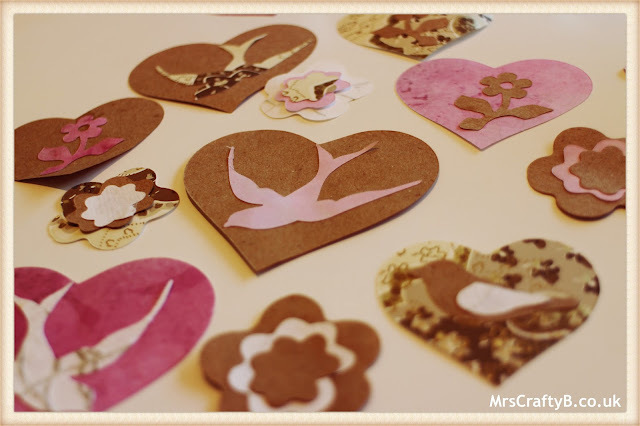 If you can’t use a die cutter you can draw out or trace chosen shapes and cut them with scissors or a craft knife on a cutting mat. You can also buy ready cut shapes but this limits your paper choices. 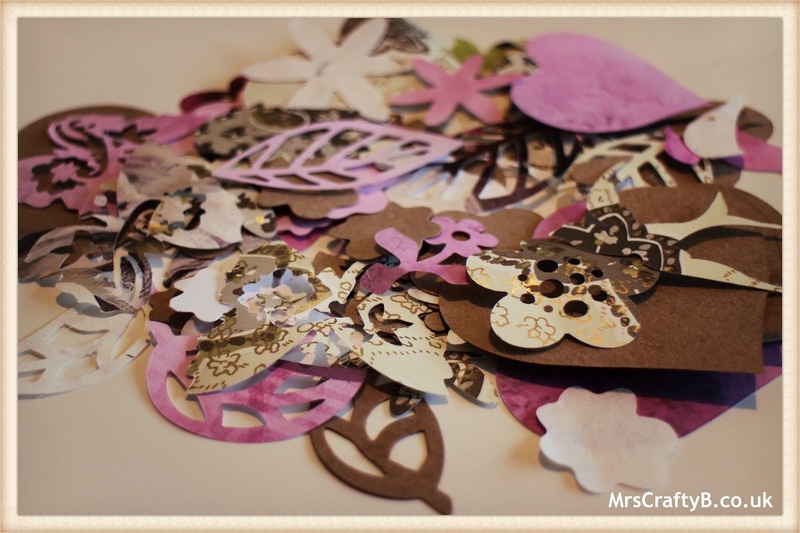 I cut these shapes using a Sissix Big Shot and various dies. Lay out your shapes to get an idea of how they will go together. Some of the shapes I used were too small for me to add to the string on their own and some die cuts were layered. If you have any shapes like this, assemble them using a small bit of PVA, a glue stick or some double sided tape or sticky pads. Decide on the kind of string you will be using. My shapes were too small for jute twine which looks great so I used some neutral cotton thread. Cut your string to the lengths you want them to be. If you have large shapes, a regular hole punch might do but ideally one of these punches with smaller options would be best. You can get one for around £5 on Amazon or even better, ask around to borrow one! When you punch holes into your shapes, remember that if they are not double sided, you wont want them to turn on the string and you should create two holes. 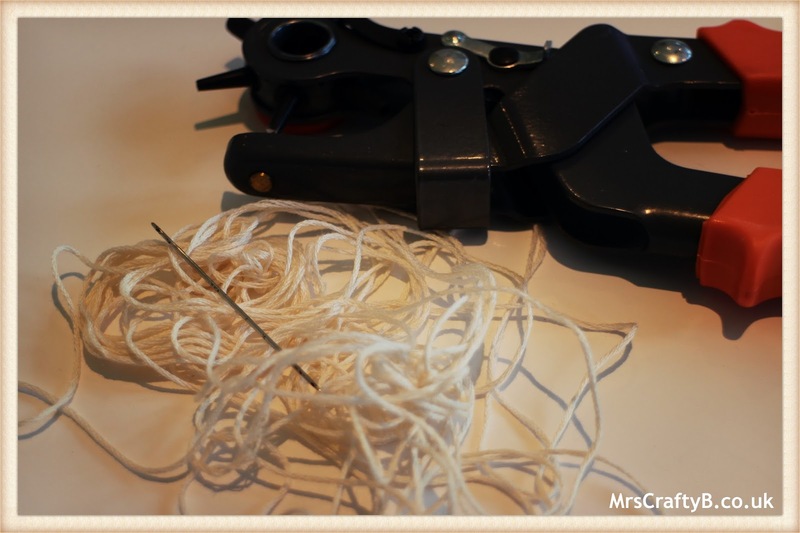 Once you have punched all of your shapes and placed them in the order that you want them to be on the string, you can start threading. I used a large needle to make this task a bit easier. Thread the string through one hole from the FRONT feeding the string across the back of the shape and out through the second hole (back to front). 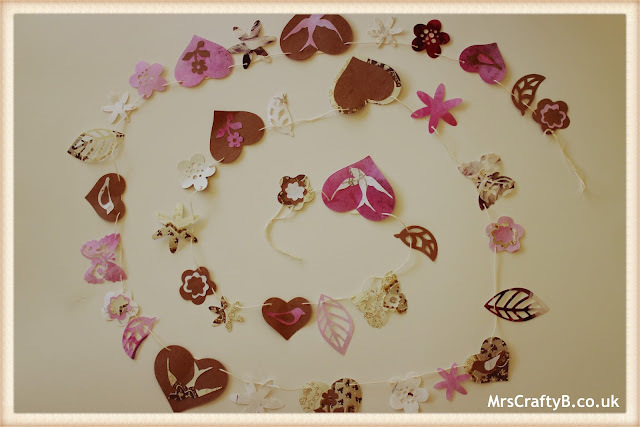 This kind of paper bunting or garland is super fun and easy to make. For maximum effect and minimum cost it is the perfect wedding DIY. A big thanks to Gem for letting me post over here at Gems Country Life Dream. If you give this DIY a go, I would love to hear from you! Thee look lovely, Crafty B and Gem! 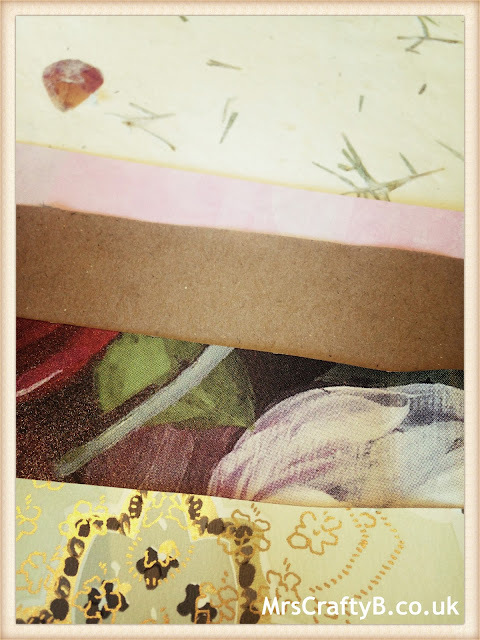 I like the mix of papers and the layering of shapes. I need to get out my die cutter and use it more often! !